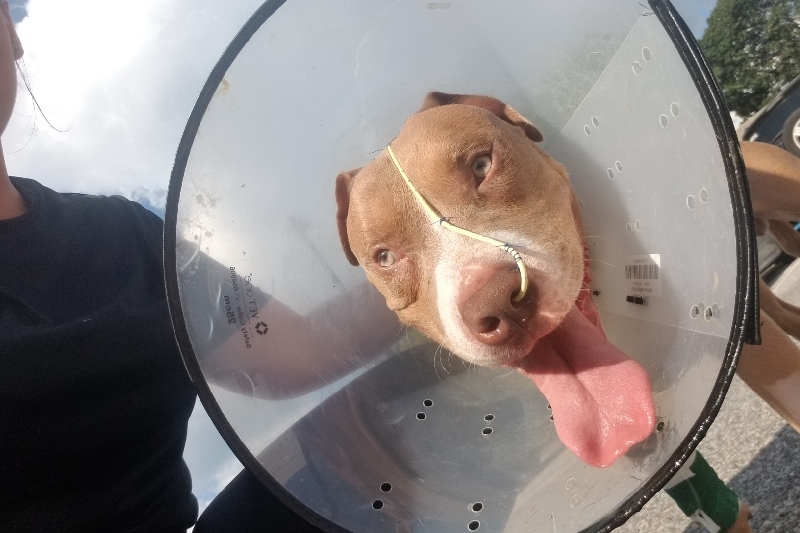 Vinny is in need of emergency vet services. Its believed that he has a blockage and may ultimately require surgery. At the moment he needs xrays to confirm the suspicions and in turn decide the possible treatments. I noticed yesterday vinny wasnt acting his normal self. He began getting worse throughout the day. Last night we went to the emergency vet. It's a pay up front kind of place. I paid everything I had available in hopes of some kind of remedy. Unfortunately it doesnt seem to be enough. The next step is xrays, which may direct towards immediate emergency surgery. I adopted Vinny 2 weeks ago. He has his own following of supporters and friends. I am truly lucky that Vinny collided into my life lol. As many already know, Vinny has neurological issues from his past. He does things a little differently. He is unique in the most amazing ways. He sleeps upside down with his eyes open. He has no depth perception, poor paw and eye coordination. He is spacey at times, the most recent vet check up also believes to be focal seizures. He walks into everything, but my goodness he is just the most happy, funny, goofy, loveable pitty despite all he has been through. We have so many plans for Vinny, and ideas to give back and help others. Nobody is fully prepared for emergency visits and the timing couldnt be any better with the holiday weekend as well. Any donation is greatly appreciated. We got to go outside and walk for a little bit today. It was hot, so it wasnt for long. I got copies of his xrays so once I get a chance I'll post those. I spoke with the vet that did vinnys surgery. Right now his intestines aren't moving things like they should. His stomach is filling up with acid. During the surgery the cob was found in his small intestine. It would move a little, slide down, get stuck, slide down, get stuck, until it was completely immobile. His whole small intestine was so inflamed and messed up they wouldnt have been able to cut any away because there was nothing to replace it. He has eaten, but he still regurgitates. But he is on so many med and opioids that could be making him sick, so he cant keep anything down. He hasn't had a bowel movement yet. I think I mentioned he had yesterday but that was faulty info. We still have to wait for things to get moving before we go any farther. He will need a very basic bland diet for the next couple of months. boiled chicken or hamburger with rice. Its gonna be an adventure since I'm pescatarian lol. Vinny has made it out of surgery! So, we originally thought he was backed up due to eating the couch. NOPE. Lol a few weeks back Vinny managed to scarf down a 3 to 4 inch corn cob. Corn on the cob sits in the stomach for a while before working it's way into the intestines. It's been in there slowly making it's way, the vet could see the trail it made. His intestines are irritated more than the vet likes but luckily baby boy didnt tear or puncture anything! They believe he inhaled a bit of fluid that came up so he has a drain down his nose. They are checking him for pneumonia. At the moment no signs of infection or bacteria are present. Now its waiting to make sure everything is working right and healing the way it should. Just spoke with the vet techs. Vinny made it through the night, he got sick a few more times, but they are keeping him medicated. They were prepping the OR as we were speaking, just waiting on the other vet to arrive. In the next couple of hours we should have a surgery update. I cant even express how grateful and thankful we are for just the outpouring of love and support for Vinny. I'm honestly just in awe. I'm looking to find info on funding, to set up a type of piggy bank for someone else that may run into a situation like us. It's a horrible feeling to go through those decisions and basically their lives depend on financial availability. If we didnt have the support or help from all of you, vinny wouldnt have even made it this far. I owe it to vinny to pay it forward. This pup is special beyond measure..
Let me just say, I am completely overwhelmed and just absolutely amazed at all of Vinny's supporters. 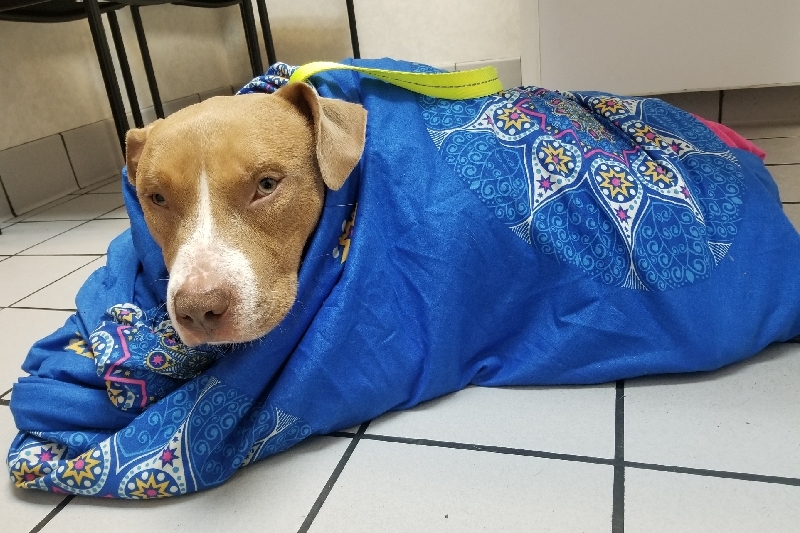 Thank you, each and every one of you, for helping save Vinny's life. Just left the emergency vet. It was confirmed Vinny has a large blockage. 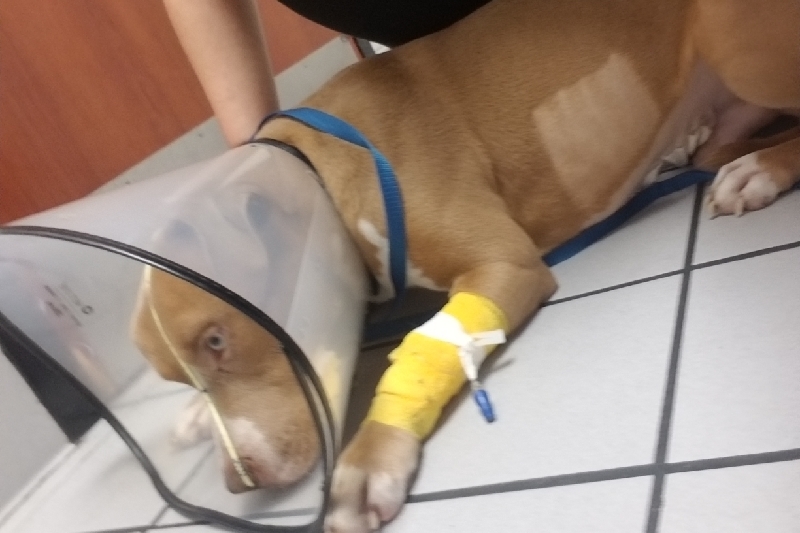 Surgery is the only option to save his life at this point. I'm updating the price of his goal to the estimated costs that were given.